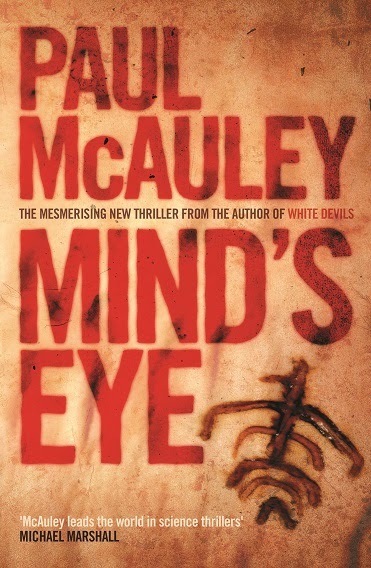 Back in the early years of this century, I was writing weird thrillers whose stories were set in the present or the near future, turning on warped applications of strange bits of science or technology - The Secret of Life, Whole Wide World, White Devils, Mind's Eye and Players. They're mostly out-of-print now, so I've begun a small publishing project to revive them as ebooks. It's very specifically set in the time it was written, and Alfie Flowers lived around the corner from me, in a caravan in an old bus garage. His local pub is my local pub; a brief car chase includes the road (and its traffic-calming system) where I live. A couple of years after the novel was published, the ramshackle bus garage was demolished: squatting there now is a block of flats of the kind that seems to have been designed using Lego, with lots of glass and tiny balconies that inevitable contain a tiny table, two small folding chairs, and a high-end bicycle. The expanding bubble of the London property market is steadily eroding the London Alfie and I knew, but here, in this odd little thriller, it's 2004, and the old weird London still stands, hipsters do not yet stalk the streets of Dalston, and the ill-fated Iraq invasion hasn't collapsed into something even worse . . .